The Whitstable Pearl Mystery follows Pearl, a woman whose dream of being a detective was cut short when she found out she was pregnant. Now her son has left for college, she has started her own private investigation agency. She has barely declined her second client when she finds not one, but two dead bodies in the quiet coastal town of Whitstable. 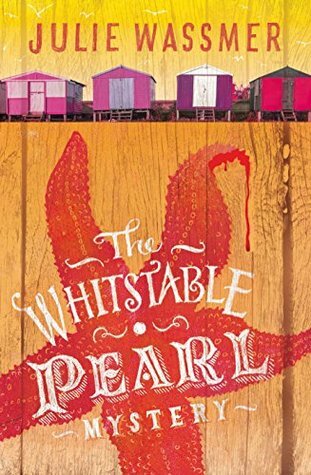 There are elements I enjoyed in The Whitstable Pearl Mystery, but also plenty that didn’t impress. The setting is one of my favourites – the quaint English town. Whitstable is a small sea-side village close to Canterbury, and oysters are the backbone of its economy. During summer and the annual oyster festival, the small town gets flooded with tourists. I love small-town settings, and I felt that Ms Wassmer did a great job expressing both the sense of community and the social tensions such a small community brings. I really enjoyed the dynamics between Pearl, her mother, her son, and her friends and neighbours. A lot of time was spent establishing the setting, and although I can’t judge the accuracy of the statements, the sea and fishing sections felt well-researched. 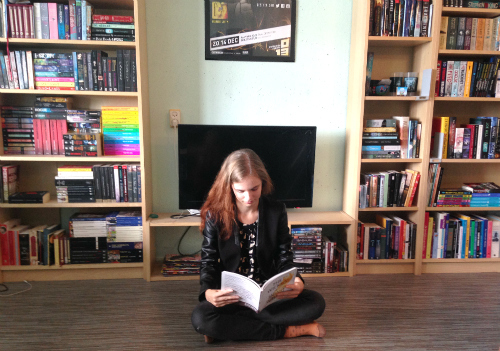 The aspect of the book that failed in my eyes was the mystery itself. In a cozy mystery such as this, it’s generally accepted that the sleuth can also stumble upon clues, rather than having to actively bring a solution about. The Whitstable Pearl Mystery had the unfortunate plot of there not being a mystery at all. There are two dead bodies – but are they the result of murder? This question doesn’t get answered the last quarter of the story. There is no urgency of finding a killer, because it’s not clear whether there actually is a killer to speak of. There was very little clue gathering, and Pearl’s cooperation with police officer Mike McGuire is laborious, resulting in the reader being largely unaware of the investigation into the deaths. The Whitstable Pearl Mystery is a successful novel depicting small town life and the struggles of a woman missing her son who has left for college, and the story is entertaining; the mystery, however, left much to be desired.